Alberta's first permanent settlement lacks something that's critical to community's around the province— a road in and out. Alberta's first permanent settlement lacks something that's critical to communities around the province — a road in and out. But now in Fort Chipewyan, one of Alberta's northernmost communities, a political push is underway to get a gravel road built that's open all year. The hamlet north of Fort McMurray is fly-in only for much of the year, with some accessibility by boat in the summer and an ice road in the winter. Bruce Inglis, one of the community's municipal councillors, said a year-round road would significantly reduce the cost of living in a community known for its high food prices. It would also provide a dependable link when lakes and rivers have become impassable due to low water levels or when the ice road season abruptly closes early due to warmer weather. "With global warming and climate change, we are at the mercy of the elements," Inglis said. "I've been looking forward to this initiative probably for the last 42-45 years of my life." On Tuesday night in Fort McMurray, Regional Municipality of Wood Buffalo council voted to begin lobbying the provincial and the federal governments to build a road into the community. The municipality builds and maintains an ice road to Fort Chipewyan from December to April at a cost of $2.8 million a year. The provincial government said it hasn't formally received the municipality's request. But the press secretary for the Alberta minister of transportation, Renato Gandia, said in an email to CBC News "there are many competing priorities for infrastructure projects across Alberta, and finite resources to achieve them." Gandia said every year Alberta Transportation weighs potential projects against factors such as traffic volume and how new roads fit within transportation networks. One factor that might be worth weighing is the tourism potential the road might bring. Fort Chipewyan offers historical sites like Alberta's oldest church with its rare frescoes and azure blue ceiling, and Indigenous cultural programs. 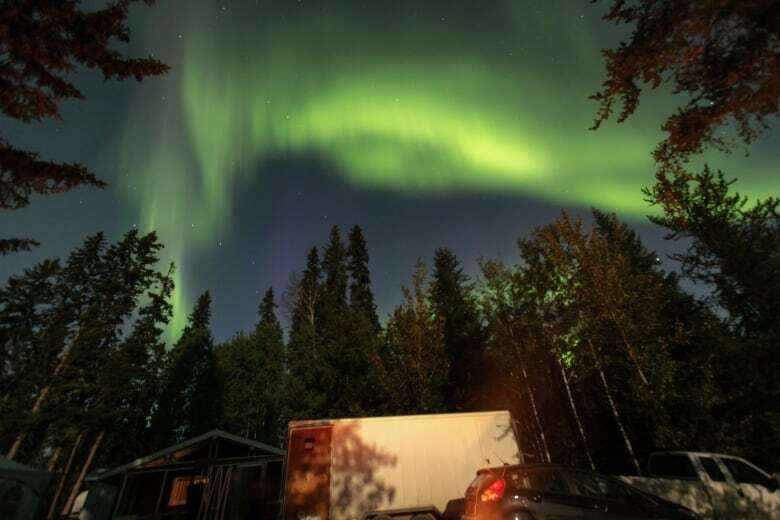 The community is also a launching pad into Wood Buffalo National Park, Canada's largest national park and the world's largest dark sky preserve. Parks Canada bills the UNESCO World Heritage Site as a magnet for stargazers and fans of the northern lights. "Wow. From a tourism perspective there's an opportunity," Frank Creasy, CEO of Fort McMurray Tourism said. When it comes to the route the road could take, there are several options. Inglis noted there's already a gravel road through Wood Buffalo National Park that's 50 kilometres away from the community. Connecting to this road would allow Fort Chipewyan residents to drive to Fort Smith, N.W.T., which many of its Dene, Cree and Métis families have ties to, and eventually drive on to major centres like Yellowknife and Grande Prairie, Alta. "It's very doable," Inglis said. "There's various opinions of where the road should run." 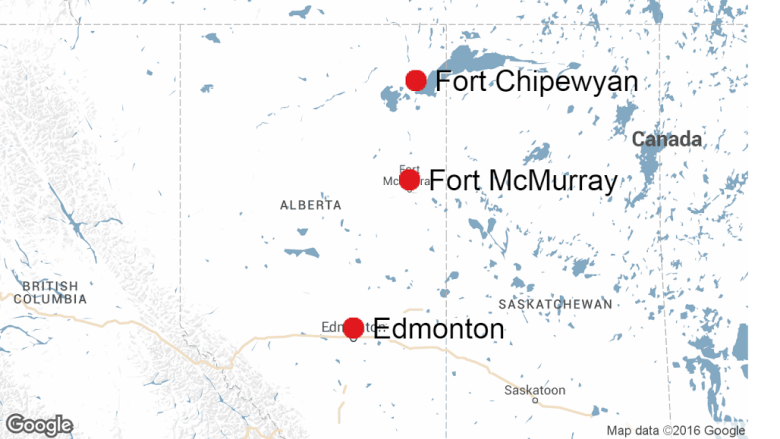 Inglis said the other main option would be a road to Fort McMurray, which is about 200 kilometres away. That option would require a longer road and would be more expensive, but would connect Fort Chipewyan with the rest of the Regional Municipality of Wood Buffalo. Whatever route is chosen, Marolo Alfaro, a University of Manitoba geotechnical engineering professor with expertise constructing all-weather roads, foresees some difficulties. For one thing, the area where the road would be built is mostly dotted with lakes, peat bogs and sensitive discontinuous permafrost. "That's one challenge," Alfaro said. "Of course there are other challenges." But those difficulties have been overcome before, Alfaro said. Alfaro has worked on the $300 million Inuvik Tuktoyaktuk Highway, Canada's overland link to the Arctic Ocean. Like that highway, a road to Fort Chipewyan would likely need to be built in the winter otherwise the construction area would be too wet and marshy for large equipment. 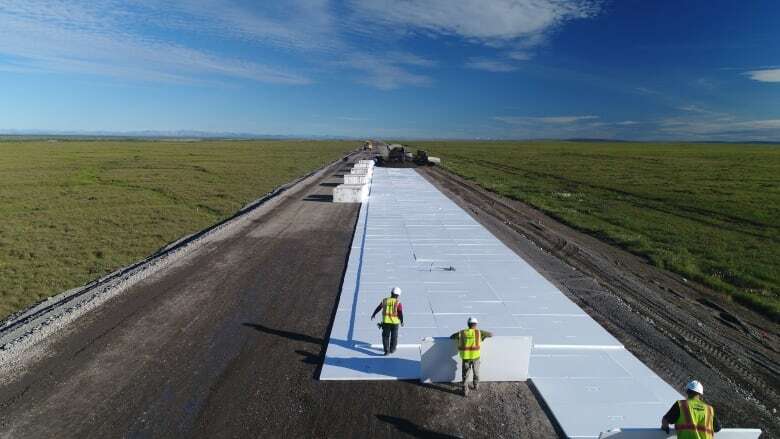 Some areas of the road might need to be built on top of the land with a synthetic barrier to insulate the permafrost and protect it from melting. Despite these and other considerations, Inglis said various levels of government need to buy into the project first. "That's the first step," Inglis said. "And I'm sure there's many more to come." Inglis and other councillors said they will be meeting with Alberta government officials in the coming days.